Data for Meigsweather is generated by an Ambient Weather WS-8478A Solar Powered Wireless WiFi Remote Monitoring Professional Weather Station. The data is collected every 60 seconds and the site is updated every 2 minutes. Ambient Weather Station Software sends the data from the Ambient Weather WS-8478A Weather Station to the MeigsWeather.com website. 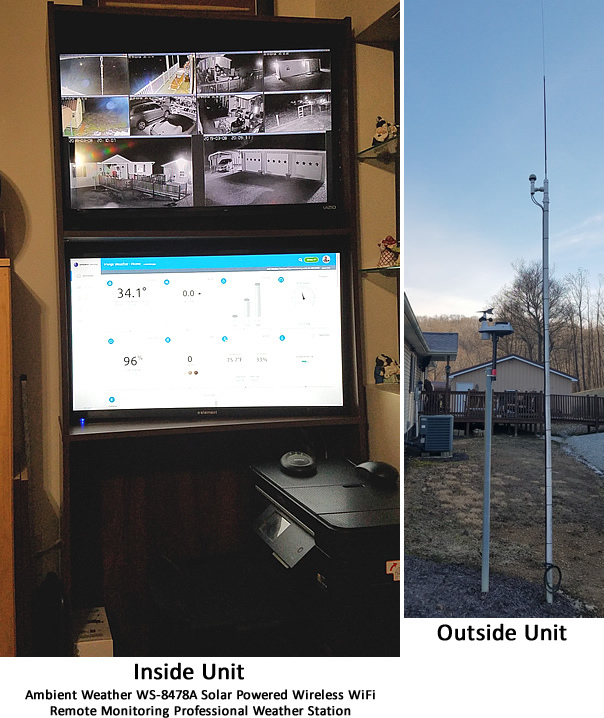 The station monitors indoor temperature and humidity as well as outdoor conditions, including wind speed, wind direction, rainfall, UV, barometric pressure, outdoor temperature, humidity, dew point, heat index, wind chill.